Can My Husband Get Money I Saved in the Bank Under My Name During Our Marriage? Your husband's right to your money depends on whether you stay married. 2. Can a Spouse Legally Withdraw Funds From a Bank Account? 3. What Will My Spouse Get From a Retirement Plan During a Divorce? There's no law against setting a little money aside in a savings account while you're married. If you're frugal and if your husband is a spendthrift, it might even be a good idea. The law doesn't get involved unless and until you divorce. In this case, your husband might be entitled to a portion of what you saved, depending on where the money came from. Depending on the laws of the state you live in, your husband may be entitled to some of the money you saved when you divorce, even if your name is the only one attached to the account. When you open a bank account, you enter into a contract with the bank agreeing to place your money with them in exchange for an agreed-upon amount of interest or other services. As far as the financial institution is concerned, your husband has no right to the money because it never entered into a contract with him. As long as you never put your husband's name on the account, only you have access to it. If your bank makes a mistake and gives the money to your husband, it's broken your contract and it could be liable for damages. If you or your husband file for divorce, your account becomes subject to your state's family law code, not just your contract with the bank. Depending on where you live, he might get half the money or just a portion of it. If you live in one of the community property states – Arizona, Wisconsin, California, Washington, Idaho, Texas, Louisiana, New Mexico or Nevada – the law treats all the money you saved as being equally owned by both of you. Therefore, he would receive half in a divorce. If you live in one of the 41 equitable distribution states, the courts will take your ownership of the asset into consideration. This doesn't mean your husband won't get any of the money. It just means that the court might not give him a full half of it, depending on the circumstances of your marriage – such as if you need the money more than he does. Most community property states and equitable distribution states typically make a distinction between separate and marital property, so depending on the source of the money in your savings account, your husband might not get any of it at all. Inheritances are separate property, so if you funded the account with cash that was left to you, your husband has no right to it. Gifts are also usually separate property, so if your wealthy sister gave you $10,000 out of the goodness of her heart, your husband won't receive a share of it in most states. Premarital assets are separate property as well. If you owned an asset prior to marriage, sold it, and deposited the proceeds into savings, your husband usually does not have a right to the money. Even if the money in your account is your separate property, a catch exists if you've "tainted" the account with marital funds. 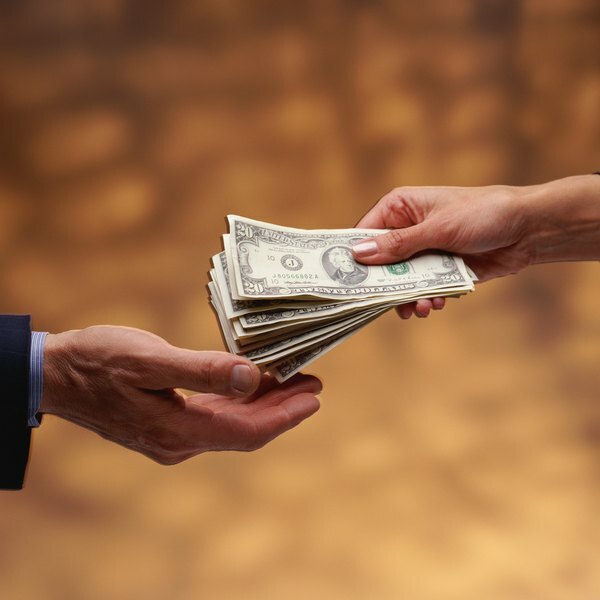 If you deposited any marital money into the account, you've commingled it with your money and you'd have to trace the amount of your original money through bank records to prove to the court that that portion is rightfully yours. Your spouse would only get a share of the marital deposits, but the court begins by assuming that the whole account is a marital asset so you'd have the burden of proof to establish otherwise. Legal Zoom: Is an Individual Bank Account Considered Joint Property in a Divorce? Can I Upgrade My Social Security Benefits From My Husband? Can My Ex-Husband Receive My Retirement Benefits?